Ubuntu is set to bring Linux to a much wider market when it goes mobile. The release last month of the latest version of Ubuntu Linux was big news in the more hands-on side of the tech world, but the latest development for the open-source operating system is likely to have a much wider impact. Ubuntu developers meeting at a summit in Spain have announced that they will be working alongside Intel to produce a mobile version of the OS for handheld devices. The desktop and server-side success (this story is being written on an Ubuntu laptop, for example) of the full-blown version of Ubuntu suggest that a handheld version is likely to gain widespread support. The Mobile and Embedded Ubuntu project is expected to deliver the new software in October this year, around the same time as the next desktop version, making it sure to ride a wave of open-source support at the time. Intel's contribution will be a power-efficient processor and chipset to allow internet-connected mobile devices to perform as well and as long as laptop PCs. Matt Zimmerman, the Ubuntu CTO, announced the reasons for the move on his mailing list: "Small, handheld, graphical tablets which are internet-enabled are going to change the way we communicate and collaborate. These devices place new demands on open-source software and require innovative graphical interfaces, improved power management and better responsiveness." Mobile phones are another target - around 5 per cent currently run a version of Linux, a figure that is expected to grow when more tailor-made versions of the OS become available. Recent developments for the free operating system also include a plan by Dell to include the software on its Linux machines. 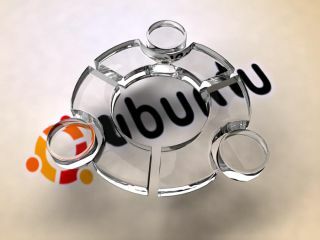 These will be supported by Canonical, the South-African company behind Ubuntu. Canonical's business model offers Ubuntu free to individual users, with revenue coming from providing support to corporate clients.